At 4.321 mts. 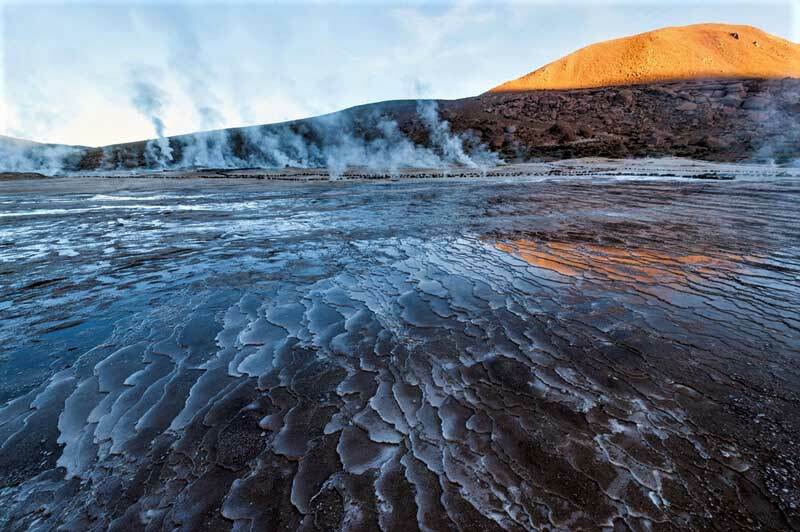 of altitude above sea level, this geyser field is the highest in the continent and is located at 95 km. from San Pedro de Atacama. 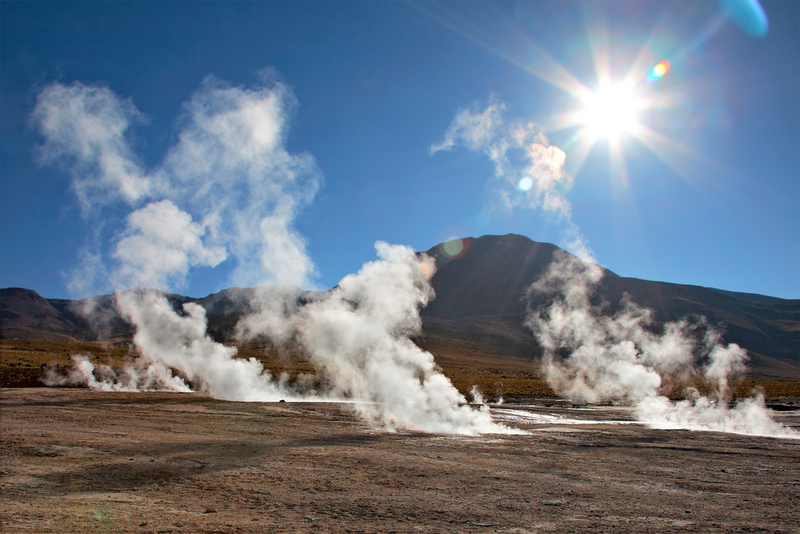 Its name in kunza lenguaje means “the old man who weeps” and the attractions consists in a field of steam vents, or rather, a geothermal field, created by the Tatio Volcano. With around 80 geysers releasing vapor columns, is the 3rd biggest of its kind in the world, after Yellowstone in the USA and Kronostki in Russia. Surrounded by high peaks of 6.000 mts. 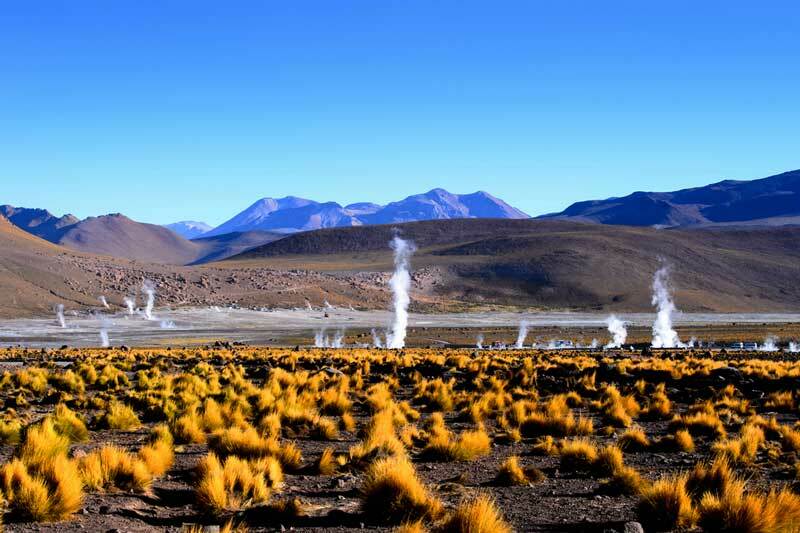 and more, this place offers a unique spectacle of the Chilean desert; a must for every tourist visiting the area. 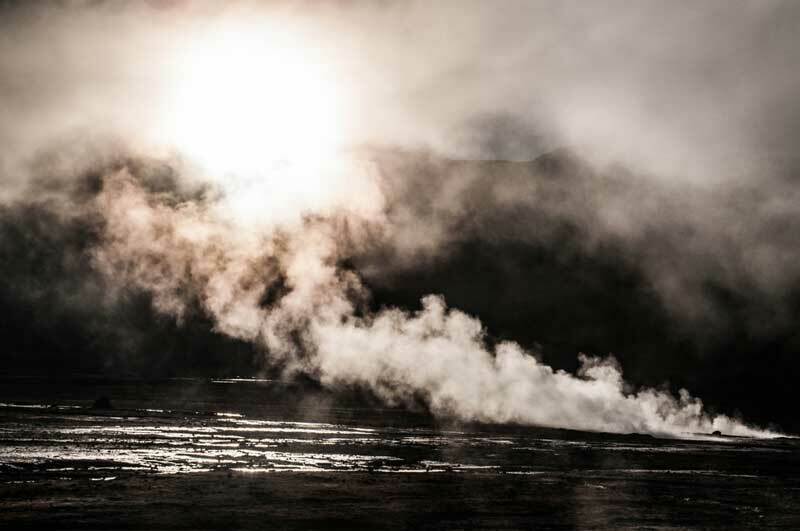 At dawn, jets of hot steam burst from the boiling water beneath the vents. It is advisable not to approach too close, as the mineral-rich ground surrounding the basins is unstable.